Laserworld offers a broad selection of lasers even for small budgets: The lasers below all have a maximum net MSRP of less than 1000€ - and there are already computer controllable systems amongst the selection (see operation mode "ILDA")! 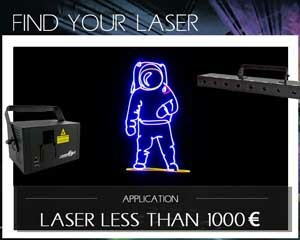 Many of the lasers for less than 1000€ already allow for creating semi professional laser shows. 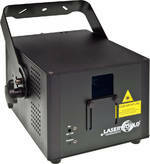 These laser systems are suitables for mobile DJs, entertainers, bars, restaurants and small nightclubs alike.